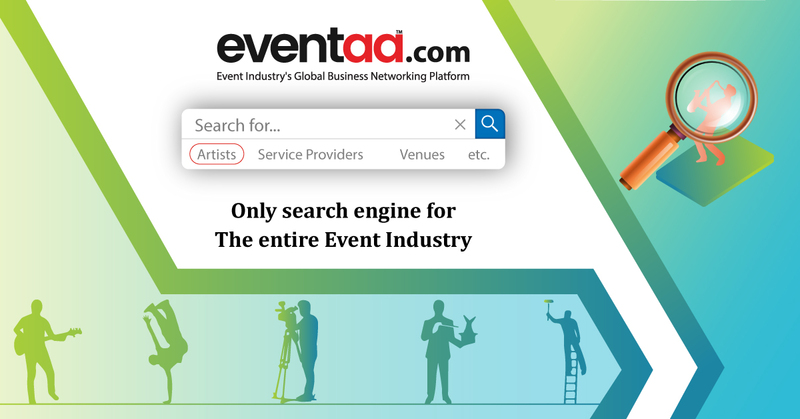 Eventaa.com is the global business networking platform meant exclusively for the event industry! Eventaa today, has more than 90,000 registrations from 1,500+ categories from more than 400 cities/towns. 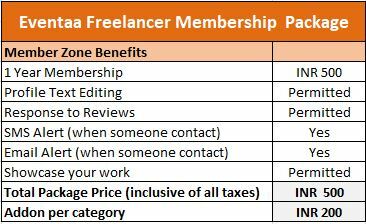 Your profile is like your online office! Eventaa provides you your personal dash board to enable you track your profile online performance so that you can take various steps from your end to improve traffic to your profile and as a result “Enhance your Brand.” ROI, Business Enquiry, and Creditability! Let the entire event industry know about your services by registering yourself with a token amount mentioned in Package 3!